The dollar index, which tracks the greenback against major currencies, eased on Tuesday, cooling after its longest winning streak in two years which was partly buoyed by investors piling into it as a preferred refuge amid worries over the trade row. In the latest development surrounding a logjam in Washington over funding for a border wall with Mexico, US congressional negotiators on Monday reached a tentative deal to try to avert another partial government shutdown on Saturday, which investors fear could have an economic impact. Gold prices were little changed on Tuesday, buoyed by a slight retreat in the US dollar amid optimism for a resolution to the US-China trade conflict. Spot gold was up 0.1 percent at $1,309.53 an ounce at 10:55 a.m. EST (1555 GMT), having declined 0.4 percent in the previous session. US gold futures rose 0.1 percent to $1,312.90. 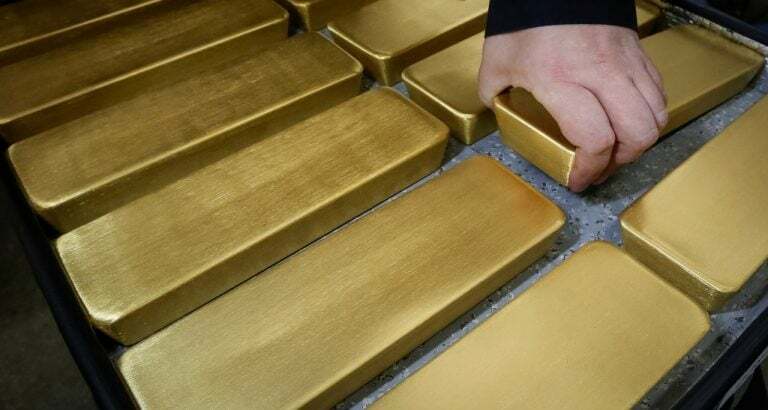 "Gold is likely to be quiet for the remainder of the week pending news on the US-China trade talks, and the US government shutdown," said Bob Haberkorn, senior market strategist at RJO Futures. "If there is an announcement that the government is going to be open and if there's a breakthrough in trade talks, gold will initially sell-off, but traders want to own gold right now with the US Federal Reserve being dovish." Gold's momentum, however, was held in check by increased appetite for riskier assets, with world stocks gaining on expectations of an agreement between Washington and Beijing. US and Chinese officials expressed hopes that the new round of trade talks, which began in Beijing on Monday, would bring them closer to easing their nearly year-long trade war. "A US-China trade deal could boost the yuan, allowing Chinese investors to purchase more gold than would otherwise be the case," Forex.com analyst Fawad Razaqzada said in a note. Spot gold rose to its highest since late April at $1,326.30 in January, after the Fed kept interest rates steady and said it would be patient on further hikes amid a cloudy outlook for the US economy due to global growth concerns. On the technical front, "if we now see short-term resistance break around $1,315, then this could lead to further technical follow-up buying pressure towards – and possibly beyond – January's high of $1,326," Forex.com's Razaqzada added. Among other metals, palladium was 0.6 percent higher at $1,393.54 an ounce, while silver dipped 0.1 percent to $15.69. Platinum firmed 0.1 percent to $782 an ounce, having touched its lowest since Jan. 2 at $779.50 in the previous session.